CEA offer complete breakdown service at a competitive rate to ensure that your downtime is reduced. Fully equipped service vehicles and our experienced personnel and staff ensure that repairs are addressed promptly and professionally. We also offer plant servicing and comprehensive reporting giving you on overall picture of your plant’s health status. Break down of the hydraulic drive system whilst delivering concrete to your customers requires rapid action. We offer our mobile hydraulic power pack as a solution. Our factory has fully equipped truck service workshops with experienced mechanics and fitters that can service and repair all types and makes of transit mixers, from Maxi’s to Minis while you wait. We offer a comprehensive barrel inspection thickness inspection service to help maximise the lifecycle of your barrel. Replacement mixer blade and capping service while you wait. CEA has been providing quality engineering and fabrication services to various industry sectors. Our 3000 square metre premises contain state-of-the-art machinery, and our experienced employees demonstrate pride and efficiency in their output. 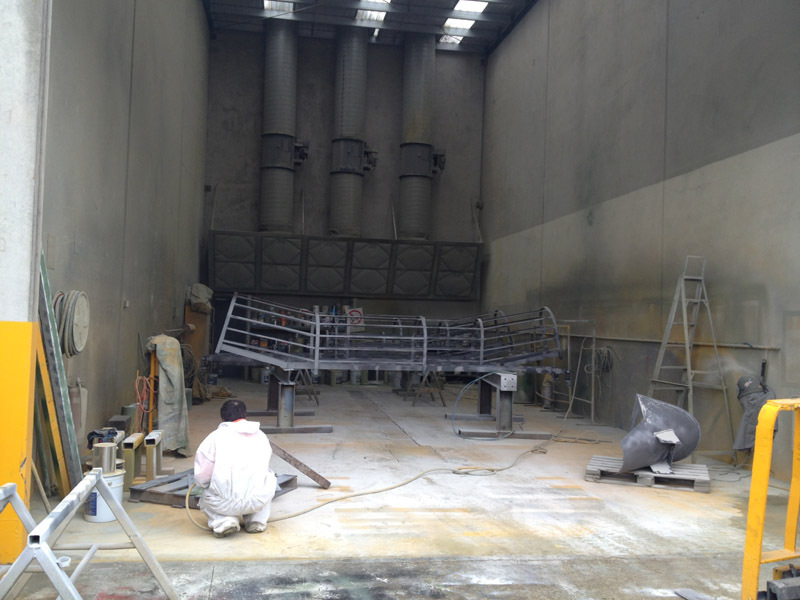 We have both stationary and mobile facilities for abrasive blasting and protective coatings to ensure a high level quality finish to your product. Our blasting and painting booths are a generous 13m deep x 7.5m wide x 8m high, allowing us to cater for most silos and structures. Combined with professional spray painters, items are blasted to class 2.5 with glass complying with environmental Standards. Items are sheltered to ensure that new blasted surfaces remains rust free before the first primer is applied. We also offer onsite blasting and painting to reduce transport and logistical costs at the same time achieving like-new results.